Eye On The World: France: Lawyer of Mother of Mohammed Merah causes uproar in court when he justifies her lying to the court. 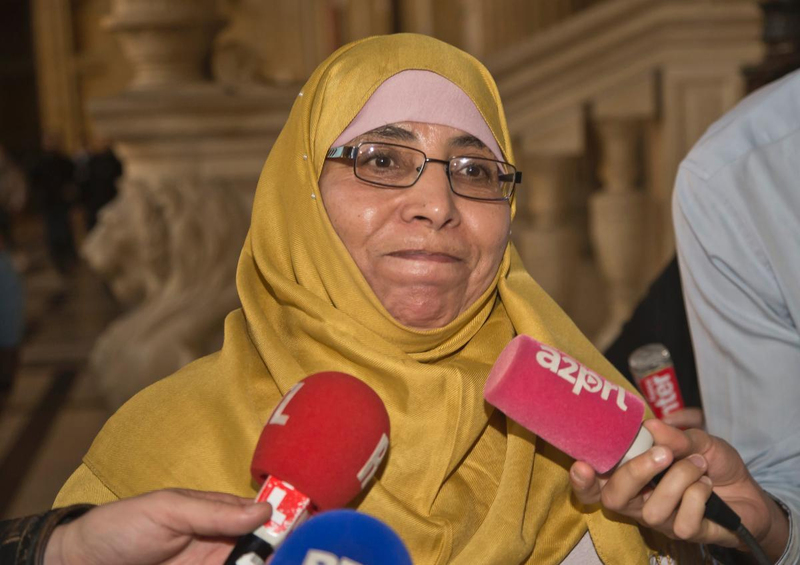 France: Lawyer of Mother of Mohammed Merah causes uproar in court when he justifies her lying to the court. (Paris) In 2012 Mohammed Merah went on a Holy jihad rampage across the Occitanie region, in France were he murdered in cold blood 3 soldiers and 4 jews which included 3 children. Currently in Paris his brother Abdelkader Merah is in the dock where he faces life imprisonment if found guilty of helping his brother carry out the above attacks. Well what a farce the court case has become. Currently in the dock is the Moroccan mother of the pair who has stated that she was unaware of 23-year-old Mohammed's plan to kill. “If I had known, I would have done everything to thwart it." In court she denied speaking to Abdelkader regards the killings, however it has now transpired that French intelligence recorded her speaking to Abdelkader in which he described Mohammed Merah’s actions as a “gift.” Then her lawyer caused an outrage in the court justified her decision to lie in some of her statements to the court by describing her as a grieving mother. “This woman is the mother of the accused, but she is also the mother of a dead man,” Which he followed up by urging prosecution lawyers to be less aggressive in their questioning. About the brother in the dock she had this to say: “Abdelkader would speak to Abdelghani about me as ‘your dirty Jew’ or ‘your dirty French girl’ to provoke him,” Of the five Merah children three turned to radical Islam — Mohammed, the youngest, along with Abdelkader and their sister Souad. If all of the above wasn't bad enough, Two people were arrested and taken into police custody after officers overseeing security at Merah’s trial recently noticed “suspicious” activity at the courthouse where it was being held. One of the people arrested worked at the courthouse. She allegedly gave her access badge to the second suspect, who used it to break into building. The second suspect is known to police for petty criminal activities and has links to an extremist cell in Paris.